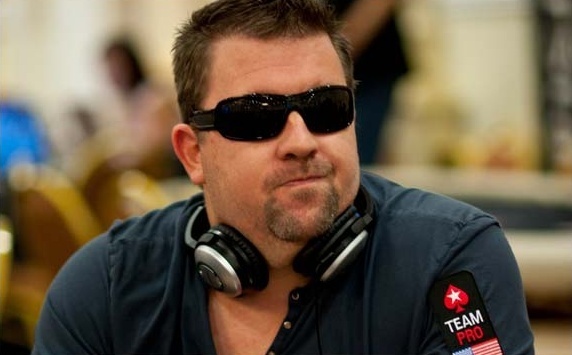 Born into a family that historically made gold and silver coins, Chris Moneymaker was literally born to make money. Of course, not even Moneymaker himself could have envisioned that he would make $2.5M when he won the WSOP Main Event in 2003. Moneymaker’s unlikely victory inspired millions of amateur poker players around the world to flock to poker tables online and in brick-and-mortar casinos in an attempt to win tournaments with prize pools ranging from hundreds to thousands to millions of dollars. The “Moneymaker Effect” is also directly or indirectly responsible for making it more socially acceptable for many of the game’s current “young guns” to pursue their dream of making poker history. Moneymaker’s continuing success on-and-off the felt can be attributed to his playing abilities, his numerical acumen and his all-around winning personality. Considered to be one of the nicest, most genuine people in the poker community, Moneymaker has acted as an ambassador for the game on behalf of Harrah’s Entertainment and he is still a proud member of Team PokerStars. Moneymaker will be visiting FlopTurnRiver.com at 12pm ET on Tuesday, May 5, 2015 for an Ask Me Anything event where he’ll discuss how he parlayed a $39 investment into $2.5M, his current pursuits and…well, just about anything else that’s on your mind! If you are interested in learning more about Moneymaker’s upcoming AMA with FlopTurnRiver.com, please contact Deborah Barlowe by phone or email. Her telephone number is: 704-996-6956. Her email address is: dbarlowe@flopturnriver.com. Founded in 2003, Flop Turn River has evolved into one of the most respected authorities on poker in the world among beginner and veteran players alike. Offering a library of strategy articles to its visitors, FlopTurnRiver.com is one of the most frequented websites of its kind. With a forum community consisting of tens of thousands of individuals from around the globe, FTR has amassed more than 1,225,000 comments in its lively forums and hosts Ask Me Anything events regularly with poker’s established professionals and rising stars.